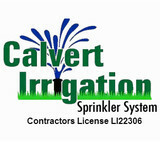 Sprinkler Specialty Company will install a brand new sprinkler system that is guaranteed to cover 100% of your yard. Complete coverage will give you a healthy, lush yard year round. If your current sprinkler system is starting to fail, our team will come in and fix the problem. We will be able to solve any troubleshooting problem you encounter. Your new sprinkler system will be custom designed to fit your yards' needs. Our professional team will make sure all the proper drainage is in place and all new systems come with a 2 year warranty. 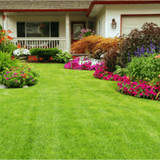 We specialize in lawn care services in the Fort Worth, Texas area. Family owned and operated, American Sprinkler Repair has proudly been serving the irrigation needs of the Dallas-Fort Worth Metroplex since 1954. 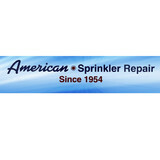 After more than 55 years in the industry, call us first for your lawn sprinkler repair problems. We guarantee you will be satisfied with your experience with us and will never need to look for an irrigation company again. American Sprinkler Repair Company is a fully licensed and insured lawn sprinkler company that you will be able to depend on for many years to come to take care of all of your lawn irrigation needs. We have quality trained irrigation technicians with all of the latest technology and equipment available in the lawn sprinkler industry today. Contact us today for an estimate or to schedule service! Ryno Lawn Care, LLC has proudly been caring for North Texas lawns since 2006. We strive for Quality lawn care at affordable prices. Please contact us for a free estimate if you need lawn care service in North Texas. "We realize the importance of making customers happy. We utilize every resource we have to provide the best work, at the best price. Our work isn't complete until our customer is satisfied." Whether you need regularly scheduled lawn and landscape maintenance or need a new landscaping solution, Poole’s has the experience, knowledge & professionalism that you can depend on to get your job done right in a timely fashion. We offer customized service and landscape plans because we know that every customer has different needs. We offer a variety of lawn services. Organic Lawn Care allows you to have a healthy, lush lawn without the need for synthetic fertilizers and risky pesticides. By eliminating chemical based fertilizers and risky pesticide use, your yard can be greener, thicker, and more stable throughout climate changes without sacrificing it’s health and beauty. With our proven lawn care and weed control program, your lawn and landscape will thrive naturally. BR Green’s organic lawn care solutions are environmentally sustainable and safe for children and pets. Transitioning to an organic yard starts with the soil. We focus on healthy soil that provides macro and micro nutrients to grass, trees, and ornamental shrubs. Unhealthy soil lacks the proper nutrients to sustain a healthy landscape. After a complete season with BR Green, your lawn will be transitioned away from synthetic fertilizers and will begin the process of healthy soil building. Over time, our organic fertilizer changes the chemistry of the soil and builds a layered system of available nutrients that promote deep root growth and require less water. In most cases, our lawns show great improvement after just a few treatments. Making the switch to BR Green’s organic lawn care program is a smart decision, both environmentally and financially. Andy’s Sprinkler, Drainage, and Lighting has proudly served Texas families and commercial businesses since 1987. Having business operations in Dallas, Fort Worth, Austin, and San Antonio gives customers the opportunity to experience quality services that have been unmatched for more than 20 years. You only need review the testimonials of Andy’s customers to know that you’re dealing with a high caliber, service-driven company that is here to serve your needs. As we established our business in 2012, we are truly honored to have the many happy customers that are still happy to use Acostas Lawn Services to this day. If you are in Wylie, TX and looking for a locally owned and operated lawn care contractor, you have come to the right place! What Sets Us Apart from Our Competitors in Wylie, TX? – The unique relationships that we establish with our clients, which is the customer-oriented approach that not many companies can offer. – The personalized lawn maintenance solutions that we are able to offer. – The fact that, regardless how busy our schedules are, we will always do our very best to fit an urgent appointment in. Why Should You Trust Acostas Lawn Services? – Because we believe in integrity, honesty and hard work. Our rates are very affordable and often include discounts, as we only want to be as reliable and available to our customers as possible. 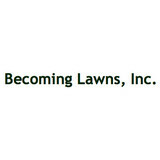 – Because we have developed our efficient methods over the course of our many years spent in the lawn care industry. – Because we are always happy to walk the extra mile when it comes to meeting your standards. Please, keep in mind that you can consult our helpful staff regarding the lawn maintenance that we provide at any convenient time if you only call us at (972) 370-3830. We possess the skills and will to go beyond your expectations and look forward to your call. Truevision Lawn Care is a family owned business that specializes in professional quality work! And great customer service! Over the years we continue to meet the ongoing needs of our clients, installing additional features and providing maintenance. It is important to our clients that we are and established provider, available for the long term. It is important to them that we are familiar with their site; knowing, for example, the location of underground pipes and connections. And it is important that we are available to provide information about continuing care and feeding for their lawn, plants and trees.